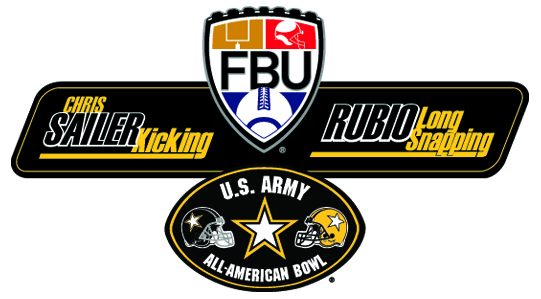 Rubio Long Snapper Earns Freshman All-American Honors! Rubio Long Snapper Bobby Joe Nielsen has been named a Freshman All-American at Midwestern State for USA College Football Division II! Nielsen has been with Rubio Long Snapping since 2012 and is one of those Long Snappers that never stopped improving. He has excellent form and an even better attitude. He as also chosen as an All-Conference Long Snapper as well. All of this, while having a torn MCL. WOW! Congratulations to Bobby Joe and his family! The rankings are completed for ALL 2018 Long Snappers that participated in the Rubio Long Snapping fall Camp in IL. This class of Long Snappers is starting to grow some roots. VEGAS XXV will be very interesting to see who can really jump out to an early lead in the class. The best 2018 Long Snapper at the camp was Ross Hinders. Ross was throwing some good heat all day and even could dip into the .7s. Ryan Walsh might have the best form in his class and is snapping with a ton of confidence. Ron Gaines is a large man with a lot of potential that showed good form and potential in IL. Matt Knight was very impressive for his first Rubio Long Snapping camp. The rankings are completed for ALL 2017 Long Snappers that participated in the Rubio Long Snapping Las Vegas Event on January 18-19! Spring Ball is the time of the year when football players and coaches come together to see who has been working hard or hardly working. Spring Ball is the time of the year when no one’s job is safe. Spring Ball is the time of the year when the starter can separate himself from the backup. Spring Ball is the time of the year when the backup can overtake the starter. Spring Ball is the time of the year when you meet with your coaches to discuss your position on the team. Spring Ball is the time of the year when the walk-on can show the coaches he can do it under pressure. Spring Ball is the time of the year when the scholarship athlete leaves no doubt he is worth the money. Spring Ball is the time of the year when you show everyone why you did all of those drills during the winter. Spring Ball is the time of the year when you want to hide because you haven’t been preparing. Spring Ball is the time of the year when you decide your destiny for next season. 1. How do I get invited to the 11th Annual National Snapping Spring Event in Las Vegas? You don’t! It is not an invite only camp. It is a first come, first served Event. You register and you are in. 2. How old do you have to be to attend the 11th Annual National Snapping Spring Event in Las Vegas? All levels of High School through second year of Junior College. I will allow younger if it is pre-approved through me. Seniors should still be attending since we will be right in the middle of the third wave of recruiting. 3. 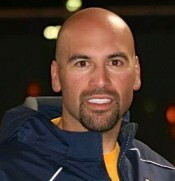 Is the 11th Annual National Snapping Spring Event in Las Vegas only for advanced Long Snappers? NO, it is open to all levels of Long Snappers. The early you go, the better you will be in the long run. Trust me, I have seen it countless times. Don’t be the guy who waits and then blows it because they were too nervous. Go early and get your butterflies knocked out sooner than later. 4. Will there be small group sessions this spring? Yes! There will be a 4-5 pm and 5-6 pm session. They are one hour blocks meant to knock off the rust, get some last minute fine-tuning in and get used to the fields, brand new football and myself. 6. When should we book flights? Plan on arriving on Friday and either leaving after 7 pm on Sunday evening (camp will end at 5 pm) or Monday morning. 8. If I have spring ball on friday, can I arrive on Saturday morning? Yes, but I MUST be notified as early as possible so I can put you in a later group on Saturday. 10. What do I get for attending the 11th Annual National Snapping Spring Event in Las Vegas? The best on Long Snapping instruction in the world, a Rubio Long Snapping shirt, a profile page with Rubio Long Snapping, a YouTube video to be used at your discretion, a recruiting and nutritional seminar at the hotel, a chance to make the EVENT ELITE and the winner of the camp receives one year of free Rubio Long Snapping camps (accommodations and transportation not included).